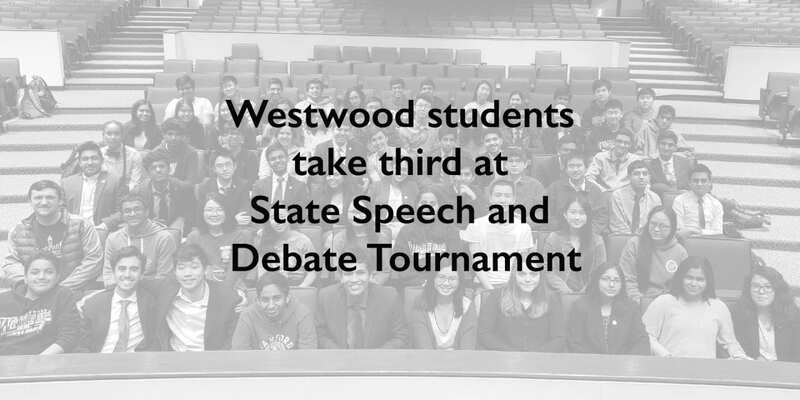 Continuing the program’s tradition of excellence, 60 Westwood High School students competed at the Texas Forensic Association (TFA) State Speech and Debate Tournament in Houston in March. Taking home one of the top prizes was Vikas Burugu and Daniel Shi who placed third in Varsity Policy (CX) Debate. The 16 students comprised 41 entries, which is one of the highest in the program’s history and the largest in the state of Texas. Students compete from August to February to qualify for the state tournament. Competitions are a representation of many hours of practice and preparation for respective events.